Celebrating 10 years and over 30 MILLION Spotify plays in 2018, THE SWEET REMAINS is the unusual band on today's music scene to be headed by 3 gifted singer-songwriters, each of whom contribute to the writing and 3-part harmonies that define the band's sound. 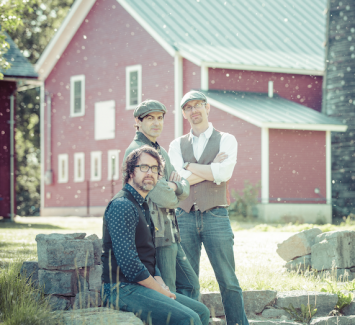 Driven by strong lyrical and melodic writing, their songs easily appeal to fans of modern folk-rockers like Jason Mraz, Ray Lamontagne, and John Mayer. However, it is their lush harmonies, that distinguish tSR from the throngs of guitar-toting troubadours and harken back to super-groups of the 60's and 70's like CSN, the Eagles, Simon & Garfunkel.